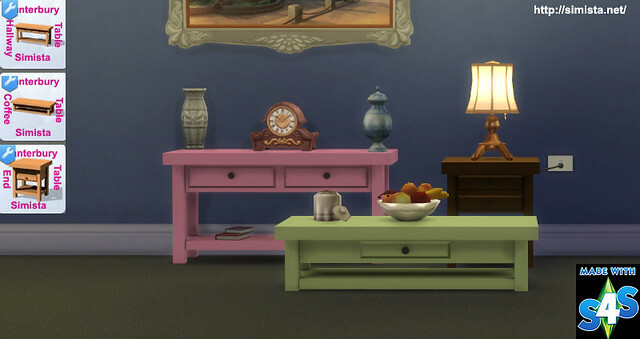 Simista A little sims 4 blog : Canterbury Table Collection. So please enjoy Canterbury Table Collection. 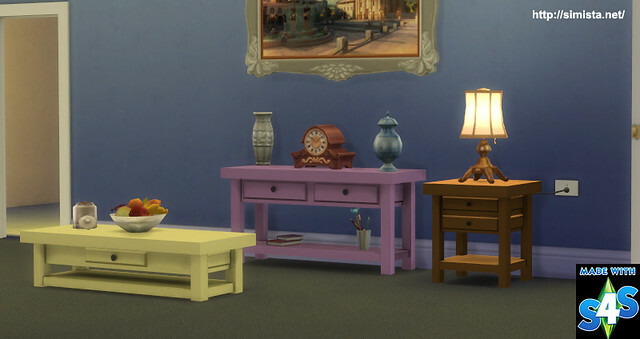 Set contains a Hallway Table, an End Table and a Low Line Coffee table. There are 12 swatches, some traditional and some funky. Thank you for the kind words Sharon. 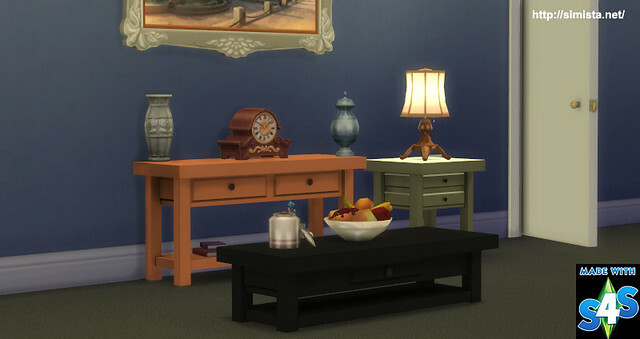 Ive got plans to make three more matching items consisting of two bookshelf type things a TV cabinet. where can i find the powerpoint cable? I thought I had posted them Massimiliano but it seems I have not, I could not find them on here nor on the download host. I will put them up tomorrow (my time) so check back.